The Kincaid lighting collection by Feiss is both modern and warm, featuring a strong metal frame, in a soft Brushed Steel finish, which forgoes the traditional round construction with unique, flat arm supports instead. 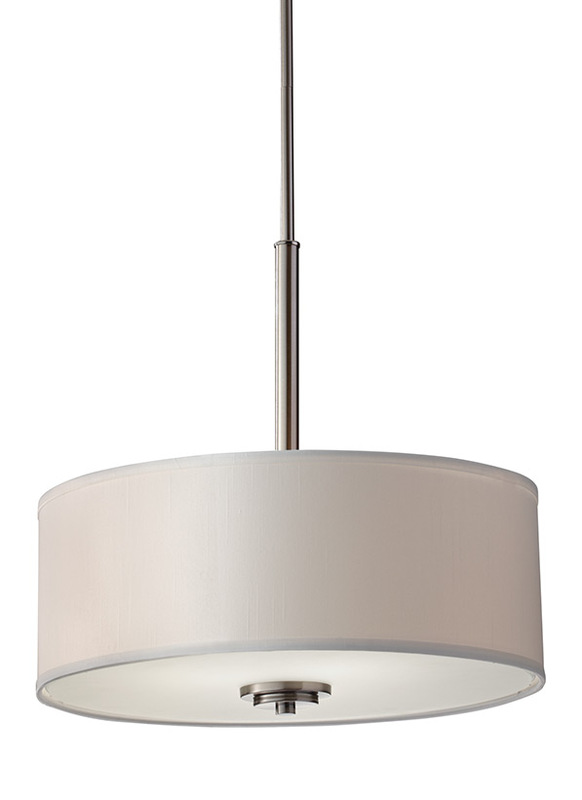 The frame’s clean lines complement the drum-shaped Opal Etched glass shades and frosty tone. The Kincaid collection consists of multiple chandeliers, pendants, bath, and ceiling fixtures.